Once upon a time there was a super handsome man. His name was Captain Lester. Ladies would drop at his feet just for a chance to dance with the dreamy officer. He grew used to the life of beautiful women, drinks, dancing, and good times. Then the worst thing of all happened. The Zombie War broke out. He had never seen anything like it. He is sadly one of the fallen. Now he is the enemy. You can dress up just like Lester in the Captain Lester Mask. 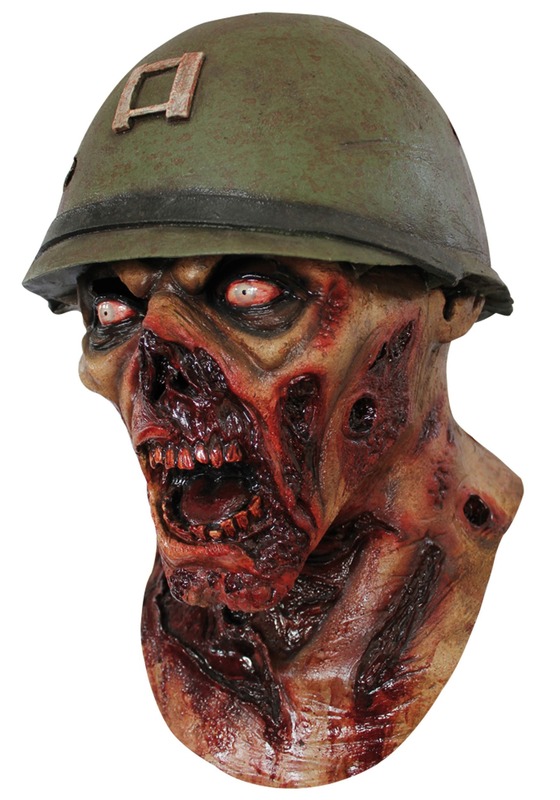 This bloody mask is molded with latex and has painted on details. There are openings for the eyes, nose, mouth, and ears, along with a slit in the back of the neck. Emulate a hero turned enemy in the Captain Lester Mask. But, don't worry he still has some of his charms.